John is a Partner in the Complex Litigation Practice Group and is Co-Leader of the Food Industry Team. He is also Chair of the Firm’s Pro Bono Committee and a member of the Firm’s Diversity & Inclusion Committee and its Professional Review Committee. John focuses his practice on solving clients' complex business disputes, counseling clients on litigation, employment and business issues, and providing general corporate advice and nonprofit corporation management. His litigation experience includes handling numerous cases involving a wide array of disputes and proceedings in federal and state courts, in arbitration and mediation and before administrative agencies, many on an emergency basis. Among other subjects, John’s litigation matters have involved international and domestic supply chains, breach of contract, fraud, torts, corporate governance, non-compete and non-disclosure agreements, theft of trade secrets, ownership and protection of intellectual property, wages and hour discrimination and other employment-related laws. From 1991 through 1993, John served as a Law Clerk to the Hon. David S. Doty, United States District Court Judge for the District of Minnesota. From 1985 through 1988, he served as a Congressional Investigator and Professional Staff Member on the Subcommittees on Investigations and Human Resources for the U.S. House of Representatives Committee on Post Office and the Civil Service. There, he focused his efforts on uncovering and resolving violations of the Ethics in Government Act. Most recently, John was selected by his own peers in a statewide evaluation as one of "Illinois' Leading Lawyers" in Commercial Litigation and Federal Regulatory Law, a distinction accorded to less than 5% of the state's most respected and experienced practicing attorneys. 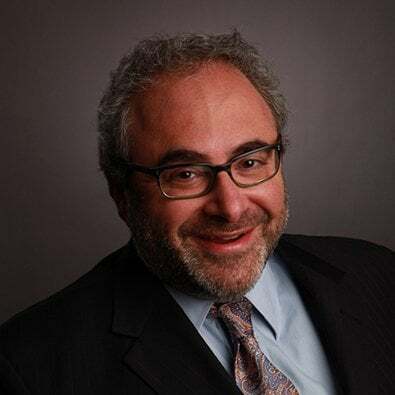 John Shapiro is a member of the Food Industry Team and provides ongoing business and legal counseling to a variety of food clients. Among other areas, John focuses on food safety, regulatory compliance and supply chain management and litigation. In addition, he serves as General Counsel of Inspiration Corporation, a Chicago-based non-profit that assists people affected by poverty. Among other programs and services, Inspiration Corporation offers Inspiration Kitchens, a 13-week culinary and restaurant skills training program, conducted in two for-public restaurants, designed to provide participants with the tools they need to secure and retain jobs in the food service industry. Author, "FSMA: The Recipe for Food Safety Success," Food Safety Magazine’s eDigest (October 2015). Co-author, "Staying One Step Ahead of Food Fraudsters," Food Safety Magazine’s eDigest (September 2015). Author, "FDA Seeks Industry Input on How to Facilitate Consumer Notification of Adulterated Foods," Food Safety Magazine's eDigest (August 2014). Author, "FDA Pegs Food Industry with Primary Responsibility for Implementing and Monitoring FSMA Reforms," Food Safety Magazine (June 2014). Author, "Are You Making High-Risk Food? FDA Wants to Know," Food Safety Magazine (April 2014). Author, "FSMA-Related Whistleblower Claims Are on the Rise," Food Safety Magazine (March 2014). Author, "Preparation is Key to Staying off FSMA's Annual Mandatory Recall Report," Food Safety Magazine (February 2014). Author, "Jensen Farms’ Fall Underscores Need For Supply Relation Oversight In Era of FSMA," Food Safety Magazine (November 2013). Author, "Are You Ready To Address Whistleblower Complaints? Preparation Is Key," Food Safety Magazine (October 2013). Author, "Ready Or Not, FDA Must Promulgate Rule On Intentional Adulteration of Food," Food Safety Magazine (September 2013). Author, "FSMA Promulgation Marches On, But Final Deadlines Remain Uncertain," Food Safety Magazine (August 2013). Author, "Court To FDA: Deadlines Set For Long Overdue FSMA Rules," Food Safety Magazine (July 2013). Co-author, "FDA Report Offers Valuable Insights on FSMA-Driven Shift in the Food Safety Paradigm," Food Safety Magazine eDigest (June 2013). Co-author, "Court to FDA: FSMA Deadlines Required," Food Safety Magazine (May 2013). Co-author, "Legislative Update on FDA’s Qualitative Risk Assessment Draft," Food Safety Magazine (April 2013). Author, "Don’t Let the Horse out of the Barn when Your Supply Chain Requires a Cow," IndustryWeek (March 2013). Co-author, "Take Heed: Implementation of FSMA Picks Up Steam," Food Safety Magazine (March 2013). Co-author, "What Do the Proposed FSMA Rules Mean to the Food Industry," Food Safety Magazine (February 2013). Author, "Ensuring Success of Food Company Outsourcing," Food Safety Magazine (December 2012/January 2013). Co-author, "Sunland, Inc. Suspension over Food Contamination May Offer Clues on How FDA Will Utilize FSMA," Food Safety Magazine (December 2012). Co-author, "Have you Properly Registered Your Food Facility for FSMA?," Food Safety Magazine (November 2012). Co-author, "FSMA Legislative Update, Public Interest Organizations Seek to Force FDA’s Hand," Food Safety Magazine (September 2012). Co-author, "Legislative Update: Final Rule on Collection of Facility Profiles," Food Safety Magazine (June 2012). Co-author, "Legislative Update: 2012 Farm Bill," Food Safety Magazine (May 2012). Author, "'Pink Slime' - A Cautionary Tale for Food Companies," Food Manufacturing (April 2012). Co-author, "Food Safety Modernization Act Legislative Update," Food Safety Magazine (April 2012). Co-author, Article on transnational contracting in the "Law Update" section of Supply Management (July 2011). Co-author, "Outsourced and Under Your Control," Inside Supply Management (November 2010). Co-author, "Make a Clean Break," Inside Supply Management (October 2008). Co-author, Chapter, entitled "Witnesses," in the Lawyers Cooperative Federal Practice Guide, Federal Civil Procedure and Evidence During Trial – 7th Circuit (1997). Panelist, "Influence Change: Transforming Workplace Culture," National Diversity Conference (April 2019). Presenter, "Risks, Recalls, and Relationships, Oh My! Food Safety, Supply Relationships and Mitigation Strategies in the Land of FSMA," OSI Quality & Food Protection Fall Meeting (October 2016). Panelist,"Minimizing Risk: Considerations for UK Companies," Northwestern University Kellogg School of Management (October 2015), as part of a several-day program sponsored by the British Government’s UK Trade & Investment entitled "Fundamentals for Success in the U.S. Markets." Co-presenter, "Lurking Relationship Risks: How to Protect Yourself in Business," Institute for Supply Management International Conference (May 2015). Co-presenter, "The Four Corners of the Contract and Beyond," Institute for Supply Management—Columbia Basin (April 2015). Presenter, "Proper Planning and Traceability are Key to Managing Risk in the Era of FSMA," ABA Tort Trial & Insurance Practice Section Annual Meeting (June 2014). Panelist, "Tracing Food: What You Don't Know Can Hurt You," ABA Tort Trial & Insurance Practice Section Annual Meeting (June 2014). Presenter, "Risks, Recalls and Relief, Oh My! Food Safety and Risk Management in the Land of FSMA," Mettler-Toledo Food Safety Exchange (June 2014). Presenter, "Tracing Food: What You Don’t Know Can Hurt You," ABA Tort Trial & Insurance Practice Section Midyear Meeting (February 2014). Presenter, "If You Are Ready For FSMA, You Are (Mostly) Ready For Europe," Enterprise Ireland Conference (November 2013). Presenter, "Risks, Recalls and Relief, Oh My! Food Safety and Mitigation Strategies in the Land of FSMA," ASQ Food, Drug & Cosmetic Division Webinar (November 2013). Presenter, "Preparation Is Key For Reducing Risk Under FSMA," Food Processing Magazine Webinar (October 2013). Presenter, "Preparation Is Key For Reducing Risk Under FSMA," The Food Regulatory Compliance Summit (October 2013). Presenter, "The Global Supply Chain Food Safety Challenge: Preparation For Exporting Food To The U.S. In The Food Safety Modernization Act Era," Proexport Colombia International Trade Conference (September 2013). Keynote Speaker, "Preparation for a Successful FSMA Implementation," Mettler-Toledo Food Safety Exchange (June 2013). Co-presenter, "Anatomy of a Settlement: What to Include when Documenting a Business Divorce,” Institute for Supply Management International Conference (May 2013). Presenter, "Advance Preparation for a Successful FSMA Implementation," PMCA Production Conference (April 2013). Keynote Speaker, "An Update on the Food Safety Modernization Act & How FSMA Will Affect Your Operations," Mettler-Toledo Food Safety Exchange (June 2012). Co-presenter, "Do Act of God Leave Your Supplier Relationships Frustrated," Marsh & McLennan Companies’ Food & Beverage Risk Management Forum (October 2011). Co-presenter, "Transnational Contracts: Drafting Tips and Strategies," Institute for Supply Management International Conference (May 2011). Co-presenter, "Hidden Issues in Garden Variety Legal Documents: What you Don’t Know Can Hurt You," Institute for Supply Management International Conference (May 2009). Co-presenter, "The Legal Structure Of An International Supply Chain," Institute for Supply Management International Conference (May 2009). Co-presenter, "Avoiding Disputes When Winding Down A Supply Relationship," Institute for Supply Management International Conference (May 2008). Co-presenter, "Electronic Information and Supply Chain Document Retention Policies: Practical and Strategic Considerations," Institute for Supply Management International Conference (May 2008). Presenter, "Catastrophic Supply Chain Disruption," National Association of Purchasing Managers, Central Area (March 2007). The Inspiration Kitchens non-profit restaurant in East Garfield Park was featured Sept. 11, 2017, by the national culinary magazine Food & Wine. John T. Shapiro co-authored the article "The Value of Legal Expertise” published in the August 2016 issue of the Institute for Supply Management's magazine Inside Supply Management. An empowerment conference for women that addresses social, cultural, economic and political challenges that women experience. John serves as the General Counsel of the award-winning Inspiration Corporation, a Chicago-based nonprofit that assists people affected by homelessness and poverty gain stability. Among many other duties for Inspiration Corporation, Mr. Shapiro counsels both its Board of Directors and professional staff members, overseas business matters, acquisitions, contracts and employment matters. Mr. Shapiro also assists with oversight of Inspiration Kitchens, comprising two for-public restaurants and a catering business from which Inspiration Corporation operates a 13-week restaurant skills training program where participants learn the culinary skills they need to secure and retain jobs in the food service industry. John is also a Board Member of The Chicagoland Food & Beverage Network, a food and beverage cluster organization that is a hub among firms, service providers, government, academia, and a wide range of stakeholders. The group's Mission is to drive inclusive economic growth in Chicagoland by bringing together the region’s food and beverage industry stakeholders to pursue collaborative opportunities.